The penetration tube is made of stainless steel and is available with centric or bevelled penetration tip. All types are constructed shock resistant. The ergonomic handle (PEEK or Teflon®) as well as the connection cables made of Teflon® are extremely hygienic and resistant against acids and lyes. 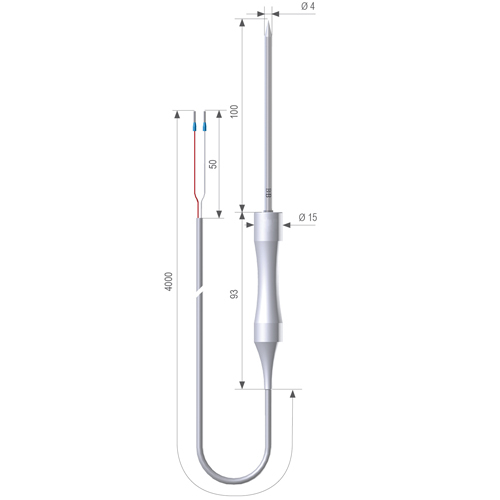 The probes are characterized by their high mechanical stability. 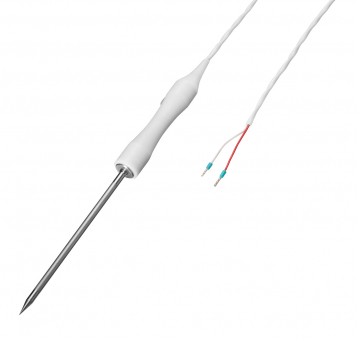 This penetration probe is also available, upon request, with different nominal lengths, for example, the popular 150 mm.. Ask if we can supply the length to suit you.